BOGOTA, NJ — Outwater’s newly released 132-page 2012 Sign & Store catalog supplement features a variety of Outwater’s most popular Sign & Store products in addition to a host of many items not previously offered in earlier catalogs including Outwater’s newly introduced series of Standoffs for Signage & Display, Cable Shelving & Signage Hardware, Economy and Deluxe Cable Mount Window Graphic Kits, Economy Cable Signage Kits & Hardware, Light Duty Channel Mount Hanging System, Cable Shelving & Signage Hardware, Hang It Sign Systems, Hang It Up Graphic Holders, and Sign & Banner Holders. Also included: Graphic Holders, Self Stick Easel Backs, Aluminum Stretch Frames, Front Loading Plastic Flip Frame Profiles, Fully Assembled Frames, LED Crystal Light Box, Display & Picture Frames, Folding Brochure Holders, Flip Frames, LED Lighting, Halogen Lighting, Signage & Display Lights, LED Backlighting Signage, Flexible Stone Veneer Sheets, Luxcore Translucent Laminates, Faux Stone Panels, The Klem Connector, Aluminum Framing Systems, The FOGA System, Fixture & Wall Bumper, Aluminum Panel Clips, Plastic & Aluminum Mouldings, Sign Holders, Roto Clips,Ceiling Display Accessories, Adhesive Sign Holders, Merchandising Hooks, Hinges, Acrylic Tubes, Rods, Balls & Cubes, Slatwall, Slatwall Hardware, Acrylic Products, Display Bases, Binning Strips, Lazy Susans, Shelf Dividers, Nylon & Plastic Panel Fasteners, Connecting Bolts, Fastening Tapes, Magnetic Strip, Cabinet Hardware, Casters, Levelers, In Line Queue Management Systems, Public Guidance Systems, Columns, PVC Post Covers, Exterior Millwork as well as many other Sign & Store accessories. As with all of Outwater’s catalogs, this supplement is published in an easy to use and easy to read format to benefit and meet the requirements of any industry professional. Furthermore, all of the products depicted within the catalog are clearly and accurately represented with complete schematics, technical information, pricing and photos or drawings to facilitate application and purchasing decisions. To order your free copy of Outwater’s 2012 Sign & Store Catalog Supplement please visit the company's website Outwater.com. 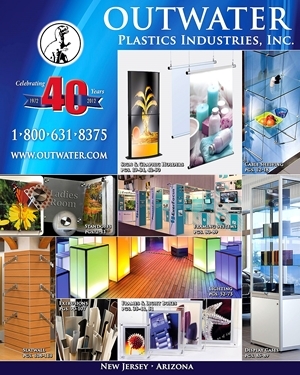 Outwater Plastics Industries, Inc. + Architectural Products by Outwater, LLC can be contacted Toll Free at 1-800-631-8375 / 1-201-498-8750 (Outside of the USA & Canada). 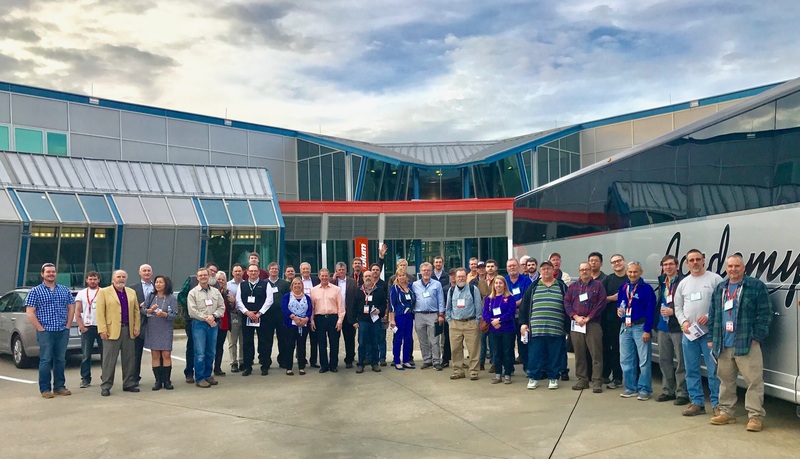 Outwater Plastics Industries, Inc. + Architectural Products by Outwater, LLC, with facilities in New Jersey and Arizona, have served their customers since 1972 as "the source" for in stock, ready-to-ship standard and innovative component products.